Tata Motors is preparing to have a busy year ahead as two brand new launches are planned. 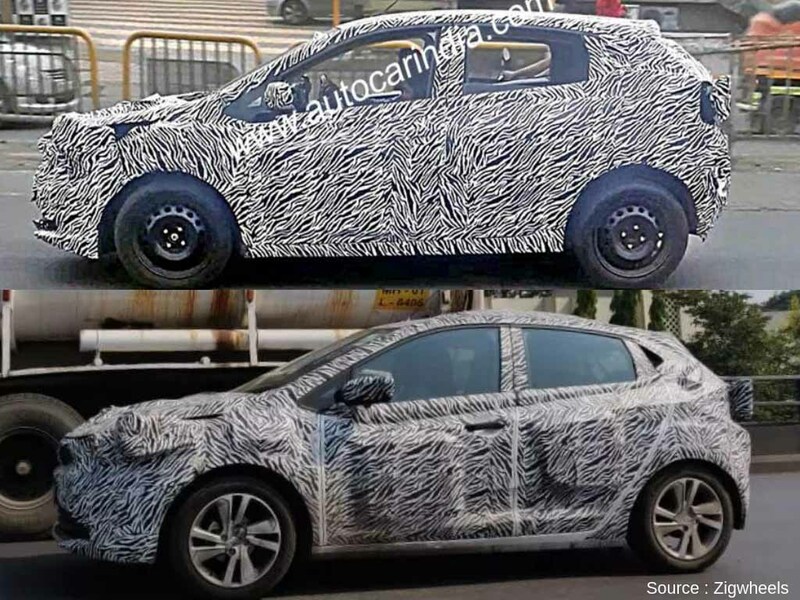 Part of the company’s strategy to present in the segments it has not competed yet, the Harrier five-seat SUV will go up against Hyundai Creta while the 45X concept based premium hatchback will rival Maruti Suzuki Baleno and Hyundai Elite i20. The seven-seater version of Harrier, that could arrive in a different nameplate, could be introduced towards the end of next year. Following these launches, Tata will target another relatively unexplored mass market segment with a micro SUV codenamed X445. It is expected to compete against Mahindra KUV100 and the upcoming affordable SUV based on the Concept Future S from Maruti Suzuki. 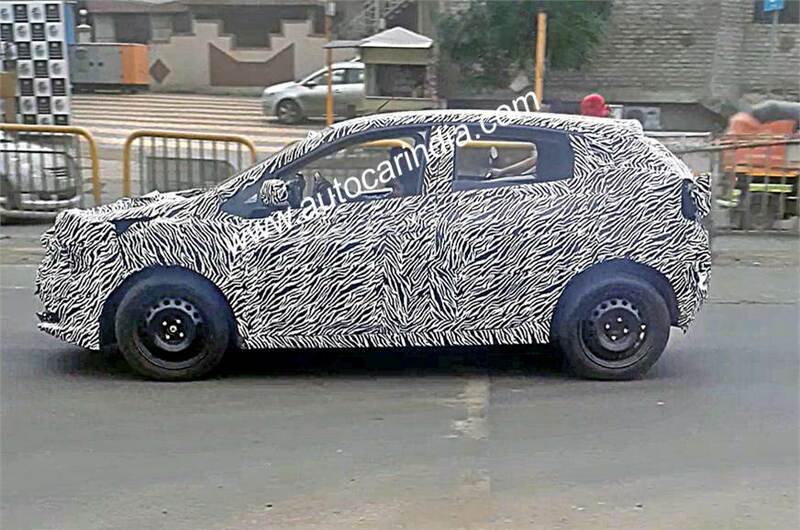 Making the claims legit, we showed you the first-ever spy picture of the Tata X445 a couple of days back. It will likely debut by the end of 2020 or in 2021 or appear at the 2020 Auto Expo in near production form. 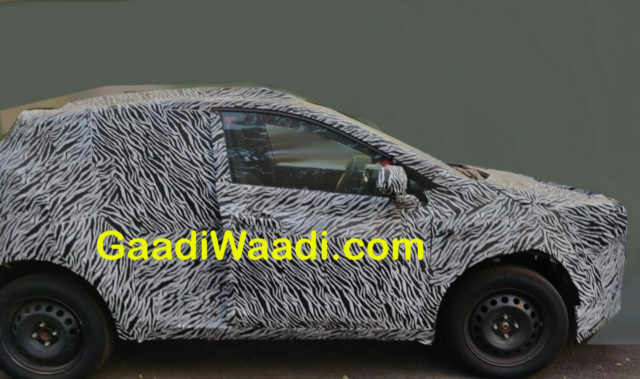 We do not have clarification on when it will arrive in the market yet but one thing for certain is the test mules suggesting several design similarities with 45X (X451) premium hatchback. Both the models are based on the flexible Alpha platform that addresses future Tata cars stretching below 4.3 m length. While the Harrier will be the first vehicle to boast Impact Design 2.0 philosophy, the 45X and X445 could take influence from the bigger sibling amid maintaining their distinctive character and appeal. In comparison, the X445 which could go by the production name Hornbill, will likely have almost identical front end except for the 45X being wider and low slung. The sweeping bonnet structure and next-generation 3D Humanity line, with more dynamism as Tata calls, will be present along with more emphasis on the Tri-arrow pattern. The X445 will have less raked roofline and taller pillars compared to the 45X for accommodating more space inside the cabin and it won’t likely have as much length as the 45X. The premium hatchback appears to have bigger wheels and more pronounced fenders than the micro SUV. The Hornbill could share its BSVI powertrain with the Tiago or opt for the mooted mild hybrid 1.2-litre petrol engine from the 45X. The chances of Tata selling manual and AMT transmission options are high as well.